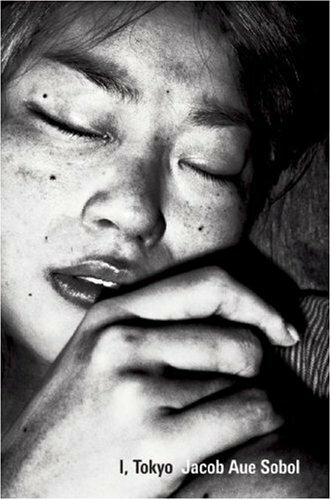 Magnum photographer Jacob Aue Sobol moved to Tokyo in spring 2006. Initially I felt invisible. Each day I would walk the streets without anyone making eye-contact with me. Everyone seemed to be heading somewhere – it was as if they had no need of communication. Most mornings I would take the Chuo-line from Nakano to Shinjuku, and even though the train would be packed with salary-men and school girls in uniform, I rarely heard a word being spoken. And so I began taking my pocket camera out with me on the streets and in the parks. Rather than focusing on the impressively tall buildings and the eternal swarm of people, I began searching for the narrow paths and the individual human presence in a city that felt both attractive and repulsive at the same time. Sobol’s first book Sabine (2004) was nominated for the 2005 Deutsche Börse Prize and selected for Martin Parr & Gerry Badger’s The Photobook: A History. Other Awards include a first prize at World Press Photo 2006. Exhibitions during 2008 include the United States, China and Denmark. Previous solo exhibitions include Portugal, United Kingdom, Canada, Poland and Denmark.